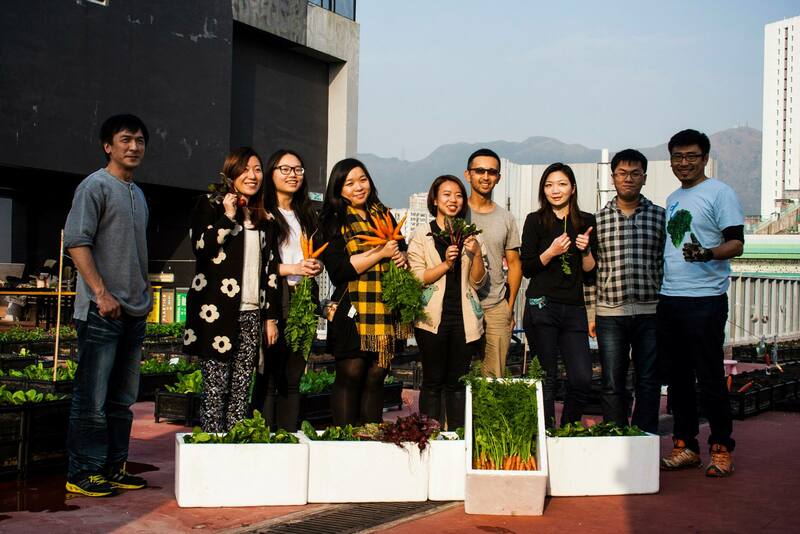 In a previous article we explored the benefits of urban farming in Hong Kong. The term “urban farming” is commonly used to describe what is in fact gardening – a leisure activity for city dwellers whose hobby is growing vegetables. Farming on the other hand is an industry focused on the production of food. As such, is has entirely different objectives, requirements, scale, methods and business models. Urban farming is subject to the same market forces that affect traditional field farming. Urban farming, in the food production sense, faces two types of challenges: business and technical. The technical or horticultural challenges unique to urban farms include overcoming the limitations and micro-climate conditions specific to rooftops – which we will explore in the future. Here, we will address only the business challenges. These include (but are not limited to): government policy and space, financing and the business environment, and skilled labour and supplier base. The first challenge to farming of any kind is securing space. Government policy in Hong Kong explicitly and implicitly favours the property development sector. By definition, it does so at the expense of other sectors such as agriculture. Policies that favour property development encourage speculative, short-term investments that push farmers out of even rural land markets. Urban farming could theoretically side-step these speculative side effects by putting to use rooftops that have virtually no other use. Unfortunately, the gap in rent between what would be sufficiently financially rewarding for a landlord and what would be financially sustainable for a farmer is simply too large to bridge. The second major challenge is the lack of financing mechanisms and market distorting subsidies. The problem for urban farming is that many of its benefits, such as reducing CO2 emissions, accrue to society at large and are thus not captured by the investor. From a societal perspective, this results in underinvestment. Investors also require predictable cash flows. Farm production, unlike other industries, is subject to the vagaries of the weather. In many other regions, farming is supported by generous government subsidies and crop insurance that mitigates the financial impact of bad weather. Without these tools, the business case for farming makes even less sense. (Hong Kong does have a very limited crop insurance program). The Hong Kong government and many investors favour hydroponic Controlled Environment Agriculture (CEA) as a technological solution to overcoming the challenge of bad weather, albeit with very high energy use and great environmental costs. Hong Kong farmers also have the additional burden of competing against “farms” set up by churches and social organisations (YMCA, New Life, Hong Chi, etc) with access to significant financial resources and government subsidies that can operate at a loss indefinitely. This creates market distortions that exacerbates the issue of underinvestment. Finally, like all industries, agriculture requires skilled labour, know-know and an established supplier base. With the hollowing out of agriculture in Hong Kong, that know-how and supplier base have simply vanished. This however is merely symptomatic of the the preceding issues. When the government levels the playing field for local agriculture, suppliers and practitioners will slowly return. So what would it take to move the needle on urban farming? First, public pressure for government policies that create a safer, more secure food system by levelling the playing field. Second, consumer support for local farmers and a cultural shift towards eating seasonal vegetables. Finally, enlightened investors and landlords that integrate environmental sustainability in their core business decision making rather than as an afterthought. Corporations need accounting systems that take into account both the positive and negative externalities of their actions. As an individual, what can you do right now? First, shop at your local farmers market. Second, when you go to a restaurant, ask “where do these vegetables comes from?” This sends a signal to restaurant owners and suppliers that you care about safe, sustainably sourced produce.